It's funny I've been back in New York for three weeks now and for the most part all I've shot is events put out by press release. Now that's not to say I look a gift horse in the mouth since this is of course the source of my income, but I find myself laughing at some of the things I have photographed lately since people take things sooooo seriously here. Posting up under the stars. Recently I got taken to task for my criticisms on this city I call home. It's not to say I don't still love it here. I do. After all following a press release lead me to the picture with this posting. 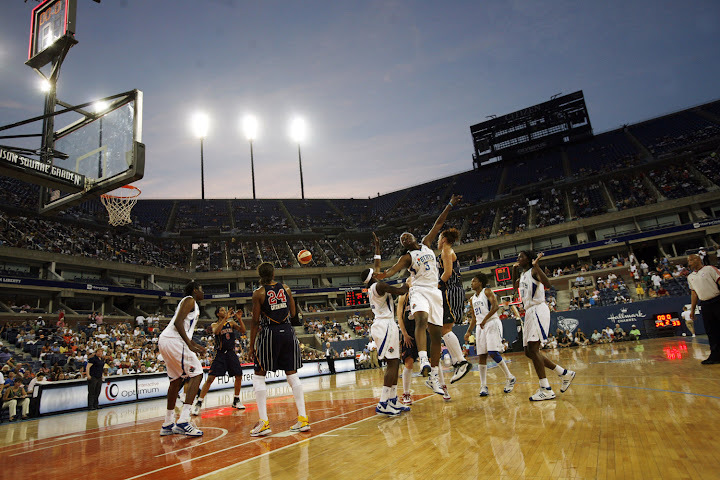 The New York Liberty played the first ever professional basketball game outdoors at the Arthur Ashe Stadium in Queens. It's one of those hard to pass up things that as the saying goes "Only In New York". 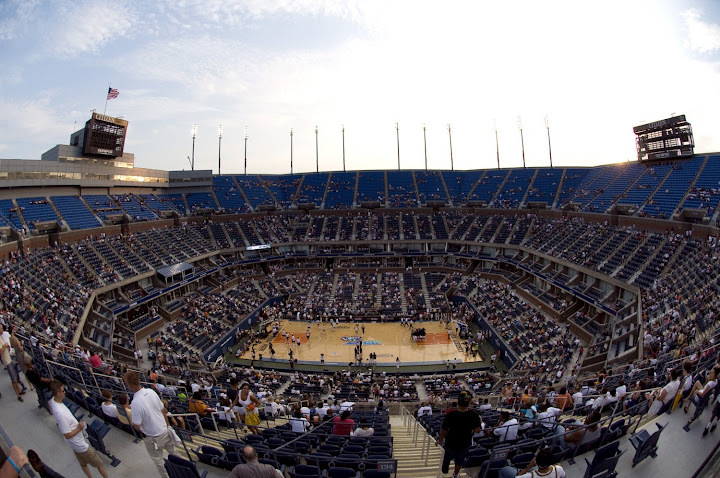 Sure this city is irritating, especially now that it's summer, and I do plan on relocating by the fall, but no place on earth has the culture or entertainment that is this over the top. Only in New York. HOME AGAIN HOME AGAIN? I'M NOT REALLY SURE. I left Kenya in the wee hours of the night. I am now sitting in terminal 5 at Heathrow in what will be a 9 hour layover. If I weren't so tired and had not had such a painless entry through customs I may consider dragging myself to downtown London. With luck I'll pass through London again in a few months and actually see the city for a change. Four times in this airport in the last two years and this is my experience with London. Uggghhhh. I feel a little heavy hearted going home after practically starting a new life in Nairobi. When I left New York in May I felt I had fallen in love with the city all over again, but now I am not so sure. New York has given me so much, but I think I may have outgrown it. I really liked the life that Kenya provide me. Another community of the like minded but with more of a sense of humanitarian journalism. The pace is slower, the assignments are richer and more along the lines of my idea of what a journalist should be doing. I know there is community journalism to do in New York, but there are days I feel like I am only following the press releases. Is it too much to want more out of a life in journalism. I've been to some shady places these last six weeks in Kenya and in myself. I think I've grown as both a photographer and a man. Prime lenses are the best, a good pair of boots are a real life saver, and ten year olds are really hip to what's going on in the world. Simplistic I know but if it works it works. I am rambling and really tired, but the funny thing is that after seven weeks in Kenya, the sight of a Starbucks here at Heathrow has made my morning. I know there is good coffee in Kenya, but I still had not adjusted to slow service and slow internet. Thanks to the gang at Kitisuru road who adopted gave me and gave me a home away from home and made me a brother, a friend, and and uncle. I really have been changed for the better by getting to know Brendan, Dan, Bertha, Francis, Alessandra, Vincenzo, Sylvia, Emily, Nik, Flea, Andrea, Moeni, Jane, Game, and Zuffa. My flat mate Emily introduced me to George Ocholla on a trip Villa Teag the other day. 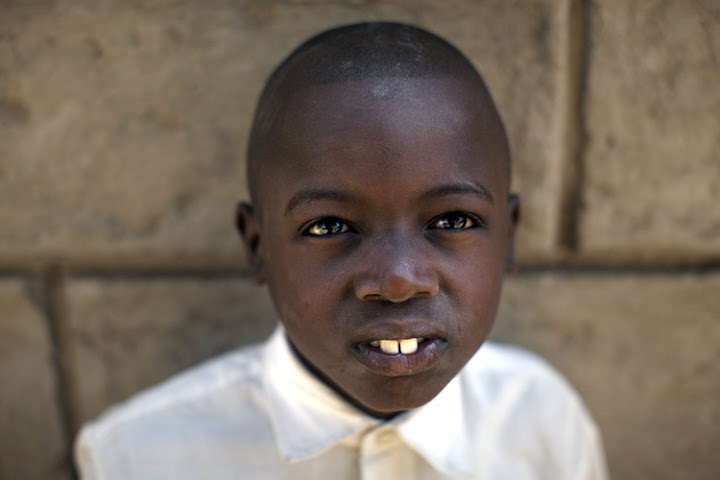 Villa Teag is an orphanage in the Dandora area of Nairobi. Remember, that's where I fell into the ocean of sewage in week 46. Anyway, Villa Teag house about 30 kids who have lost their parents to HIV. Unfortunately after the election violence that went on in Kenya last December their founder Melitus Mugabe was murdered. There has been a struggle to keep funding going and the kids together since the loss of their benefactor. My other flat mate Alessandra has taken it upon herself to keep the lights on, the water running, and secure other funders. She spent 8 months living here while working on a documentary. All the kids here are smart, talented, and hopeful of a better life. George stands out to me. After both of his parents died from AIDS George found himself in the position of caring for himself and his one year old brother. 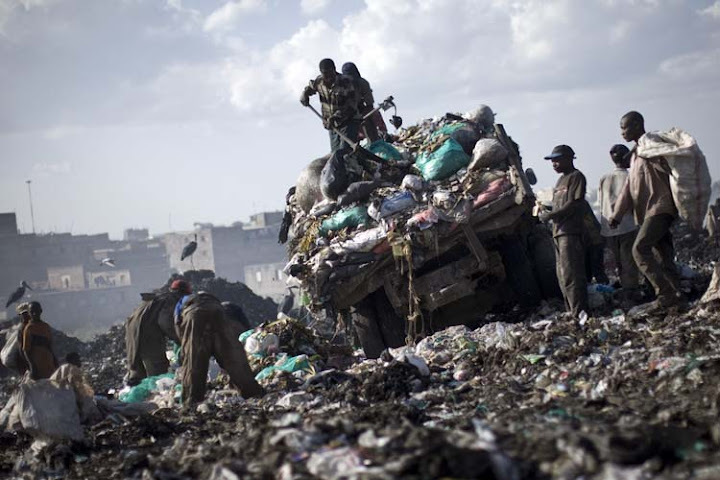 They began living in the dump in Dandora. 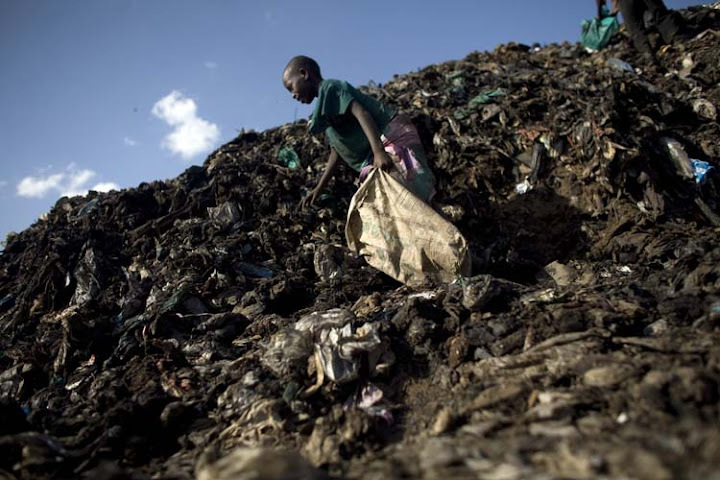 He was searching for food and things to sell in the the dump with his brother strapped to his back for months. After eating a meal of refuse from the dump, George noticed his brother, still strapped on his back was not moving. He was dead. As Emily put when he tells this story it's like he's recounting what he had for breakfast it's so matter of fact. When he retells me this story and how important it is for him to go on and get an education I tell him he's my hero. He just laughs asks me why. Here is a ten year old giving me more insight into the world than most adults. He's suffered more in his ten years than I will probably will the rest of my days yet he is resilliant to the point it almost seems defiant. He makes me laugh with his singing and his imitation of Kenyan President Kibeki. He talks about finishing school and maybe one day being the head boy a Villa Teag. He is thankful for the opportunity given to him despite missing his family. For me after my sewer incident I swore I would never go back to the dump again. Who really cares I thought. There were a number of people that have done stories on dump sites that become mini recycling industries for the poor. Why bother? 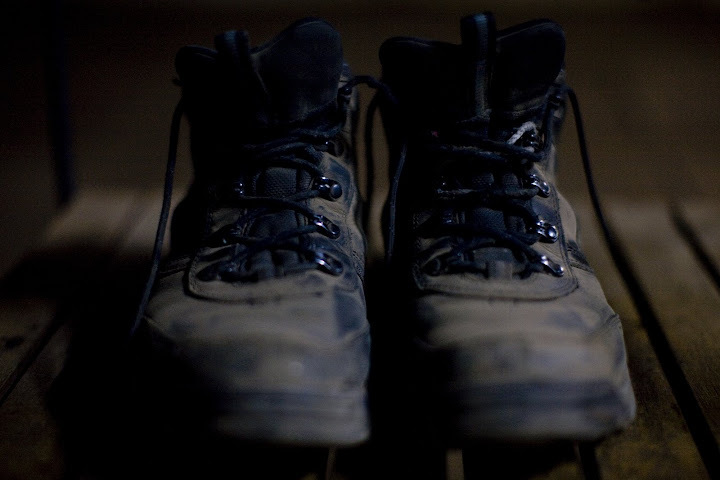 I made my way back there the before I left Kenya just to walk a mile in George's shoes and see what he saw every day for months when he was the tender age of five. My sewer swim is nothing more than an anncecdote I'll retell at parties to friends that will laugh at my misadventures. 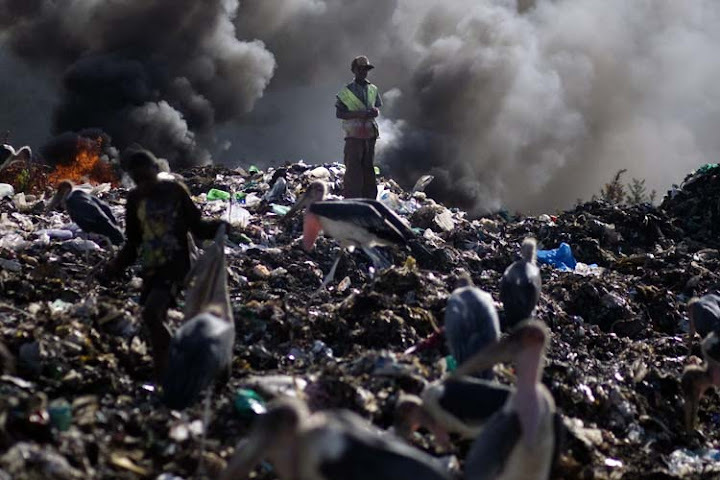 For George it was everyday life navigating the dump which to me is like visiting ninth circle of hell. He not only had to rummage through the garbage but compete with adults, older kids and scavanger birds for the best stuff. Vendors pay 3 Kenyan Schillings for 1KG of plastic bottles after all. George is not only surviving, he's thriving. I look in his eyes and I think that he's one of those people that will probably go on to do great things. Yeah George, you are my hero. Go ahead Laugh if you want to, you've earned it. Emily's original NPR story on George and Villa Teag is here.